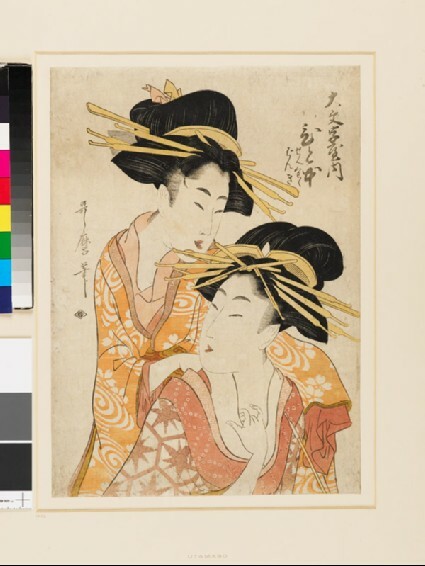 Utamaro II succeeded Utamaro after May 1806, and worked during the Bunka era (1804-18). This print depicts the Courtesan Hitomoto of the house of Daimonji-ya and another unidentified courtesan. 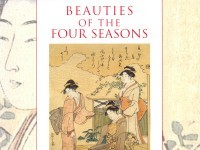 Hitomoto, Okita of the Naniwa-ya and Ohisa of the Takashima-ya were beauties who had been often depicted by Utamaro I.